For a year now, asking this question has been my daily task. Among the people I ask are women and men who have three times the life experience as I do. Do you know what my name is ? For a year now, asking this question has been my daily task. The people I ask: women who have three times the life experience as I do. My name is John. I work at nursing home for the elderly in Cleveland, Ohio, where I have been for the past year. With an average age of 80, the residents here spend twilight years in quiet comfort, many living with Alzheimer's disease. Still without a cure, Alzheimer's disease robs its victims of their memory, their pride, and at times even their will to live. But what if simple reading, writing and calculating could counteract some of the effects of this disease ? For example, Evelyn, 94, was diagnosed with Alzheimer's disease 2 years ago. At first she could not write her own name, and had difficulty communicating, but 4 months into the therapy program, she has rediscovered her interest in knitting. This documentary follows a research study of a treatment in Cleveland, Ohio. It pursues the answers to what it means to live a happy life, and what may be considered a truly happy conclusion to that life. The six-month-long treatment put into action is the fruit of the cooperative research of Dr. Ryuta Kawashima and KUMON. It was developed in Japan in over a decade of practical application in collaboration with professional caregivers at care facilities. Sessions take place every day for 30 minutes. They consist of short reading and writing exercises and simple arithmetic questions, all administered in a conversational manner by facility staff. 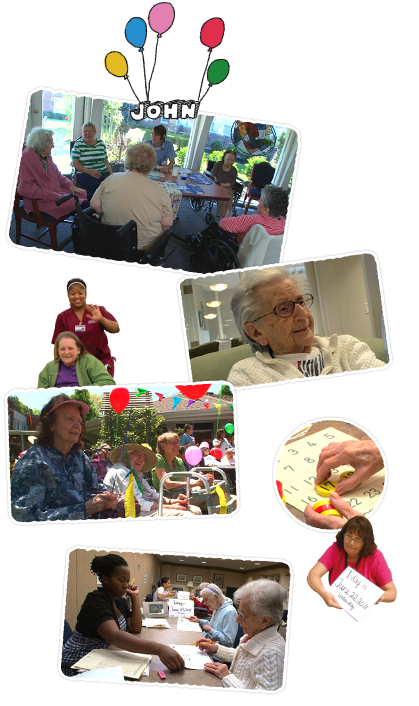 In 2011, 23 live-in residents with dementia participated in the treatment at the Eliza Jennings Home in Cleveland. This was the first trial of the program outside of Japan.